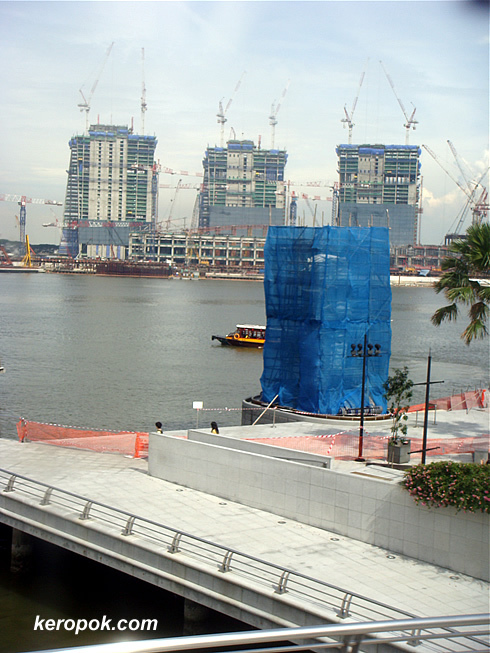 The shy merlion is covered up for the time being. Most of you should have read about it. The Merlion was struck by lighting about two weeks ago. What is the Merlion? It looks like there is a great deal of construction/reconstruction going on in your city. Wow the IR is up. The last time I was there it was just an empty land with many cranes there. I think it would look very beautiful when the IR is completed.